So, here's the thing. My oldest child turns 20 this weekend and I don't know how on earth that happened so quickly! I can remember him being born at 5lb 3oz and having to stay in the NICU for 7 days and I had to stay with him. Luckily we were both discharged on Christmas Eve afternoon, which is also his father's birthday. Then, in the blink of an eye, he's considerably taller than me, talks with a deep voice, has a beard and does drift-racing as a hobby. As you can see, I went with a rectangular card rather than the square card in Jen's sketch. The reason for that is because I completely spaced on the square part when I was planning my card! The card base is white and onto that I layered a Cement Gray stitched panel. The Steel Gray background die-cut is from Reverse Confetti and I did a bit of sneaky surgery by adding an extension under the horizontal panels to have it fit the sketch more. The two horizontal panels are both stitched and the sentiment is from the Avery Elle Party Animal set. I was looking for a no-fuss sentiment that would also fit nicely in the black panel and that one fit the bill. As a pop of color against all the neutrals, I went for Tropical Teal for the numbers, die-cutting them from PTI's By The Numbers set. They are popped up on foam tape. No embellishments, no sparkle, nothing else went onto this card. Thanks for visiting! 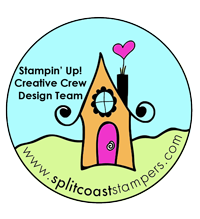 The design team have created some gorgeous cards so please head on over and check them out. 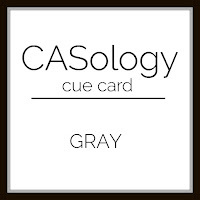 I'm linking this up to CASology who have a cue word of "gray" this week, as well as The Male Room who are looking for December Celebrations. Love this card for your son. How do they even get to 20 so fast?!! Hope he has a great day. When you have to put a 2 in front of his age, it makes it seem so much older, doesn't it? This card is perfect to celebrate this milestone birthday. Have fun celebrating! Wonderful use of dies! Congratulations to your son! Great card!! Just wait another ten years...that was incredibly distressing to me when my oldest crested the old age of 30! Yep they grow up waaaay too fast! My daughter turns 40 tomorrow! How can that be? This is so crisp and tailored....loving all the die cuts! You have made a wonderful card. Will have to CASE it for my only grandson's next birthday. Thanks! I do understand having a Christmas season baby. One of my daughters was born on Dec. 23rd. We came home on Christmas Day to a dinner of bean soup and crackers. No one had thought to stock up on food. Oh well...smiling about it now. Fabulous take on Jen's sketch, Karren! I love the striped panel with your numbers, and your color combo is perfect for a guy! I have a feeling your son is going to love it, too! Hope he enjoys his day!!! Yep, don't they go up soooooo quickly, hey!!!! Our eldest one turned 18 this year and have just finished school!! I had to smile at your comment about the money inside!!!! I really like the beautiful masculine CAS look of your card and the colours are just great!!!! Love it!!! 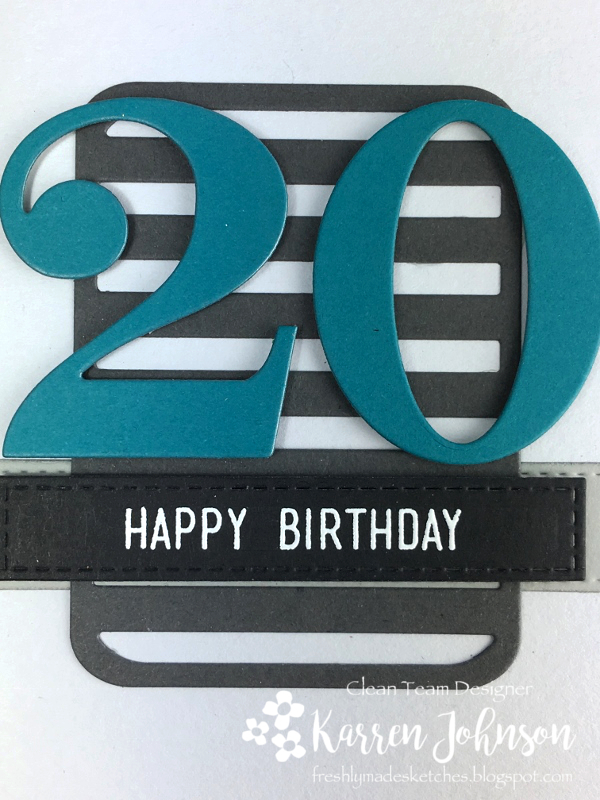 What a wonderful design, fabulous colors and perfect masculine design for your son's 20th b'day card Karren! I feel the same way - but my son is now 40! This is the perfect card for a 20 year old!!! I love the colours and the die cuts! I can't believe you are possibly old enough to have a 20 year old!!! You look far too young! What a wonderful card, Karren! Masculine and CAS - he will love it! Wow! What a fabbo card to celebrate your son's milestone birthday. I love the colors - the shades of gray and black plus that bit of teal look great together. It may be a no-fuss man-card but it's eye-poppingly good! Love this color scheme and the layout! Simply gorgeous! Thanks for playing along with CASology! 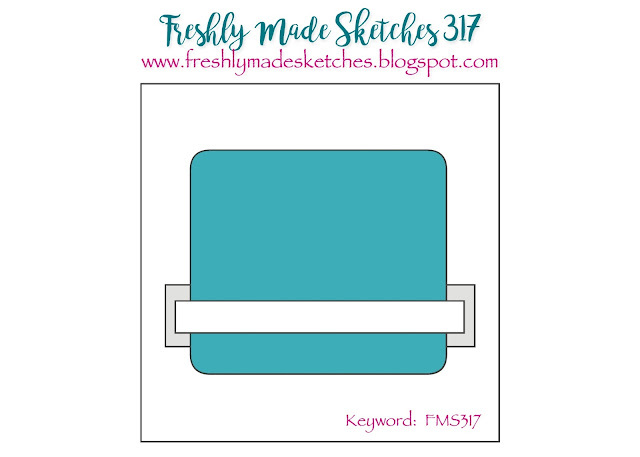 Great idea to pair tropical teal with the gray! Love it Karren! So glad to see you at CASology this week. 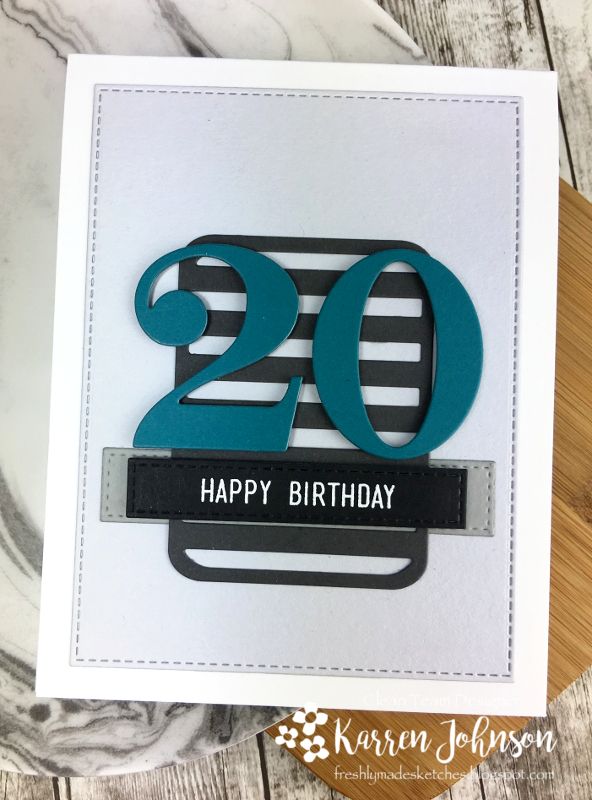 Sharp Card for a 20 year old, very clean and fresh! I can so relate!! My youngest son turns 18 four days after Christmas and my oldest son turns 22 on January 4th. The male presence in this house is overwhelming!! This is such a perfect guy card - wonderfully bold! Love the wintery blues and greys, perfect December birthday card. 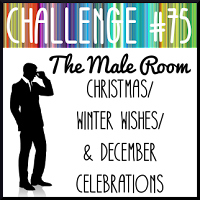 Thanks for playing along at The Male Room Challenge. Good Luck!